Home / food / foodie / genting / malaymail / news / resort world genting / songkran festival / Enjoy Thai food, music and more at Genting’s Songkran festival! Enjoy Thai food, music and more at Genting’s Songkran festival! Resorts World Genting is bringing the best of Thailand to Malaysia this April. If you’ve been wanting to join in the fun of a Songkran festival but has never had the chance to visit Thailand, then here’s to your dream coming true as throughout this month, you can simply visit Genting to indulge in not only Thai delicacies but also a fashion show, Muay Thai fight, and more! Since food is an important element of Songkran, up until this 30 April, several venues including Genting Grand Hotel’s Coffee Terrace, Resort World Genting’s Imperial Rama, Genting Palace and Genting International Show Room will be holding special Songkran Festival Food Promotions to satisfy your palate with the best of Thai gastronomy. 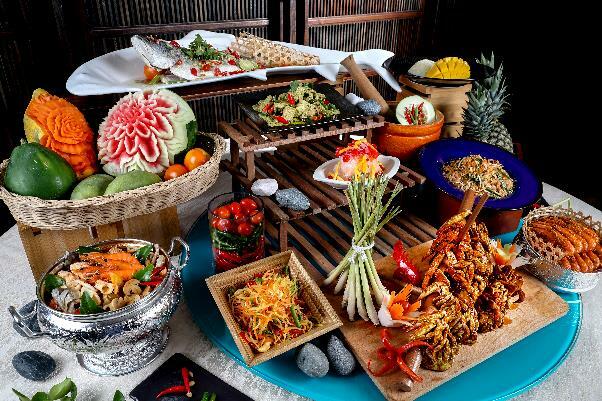 You will get to try dishes with lucky names that are traditionally eaten during Songkran, such as Laab Gai (thai chicken salad) and Toong Tong (deep-fried meat dumplings), the former sounds like ‘good fortune’ in Thai while the latter means ‘money bags’. 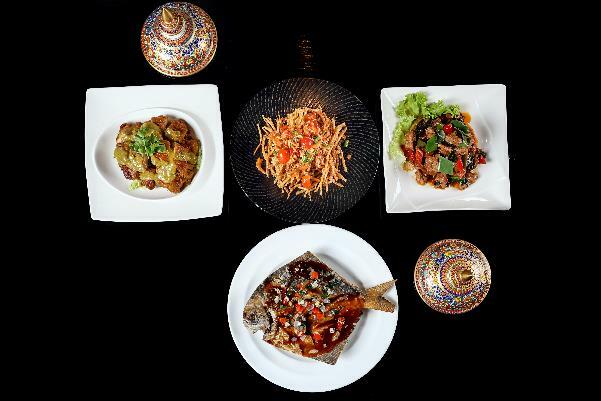 Other Thai specialties including Pineapple Fried Rice, Mango Sticky Rice puddings, Tom Yam Soup with River King Prawns, Thai Green Curry with Lampang Fish Steak, Stir-Fried Minced Pork, Deep-fried Pomfret with Red Chilli and Lime Sauce will also be featured in the promotion. Coffee Terrace’s promotion will be in buffet style and is priced at RM88 for adults and RM44 for children (Sunday to Thursday) and RM92 for adults and RM46 for children (Friday and Saturday). The Songkran specials at both Genting Palace and Imperial Rama will be available for the entire month of April for both lunch and dinner. 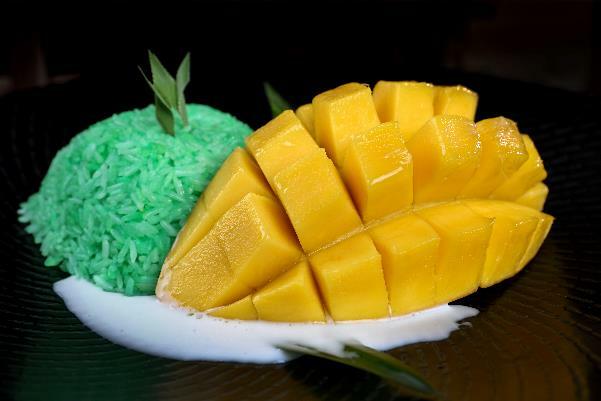 The Coffee Terrace will also be serving delicious Mango Sticky Rice and other Thai dishes! All customers will be greeted with mouth-watering meals that are served with aesthetically-pleasing presentation. 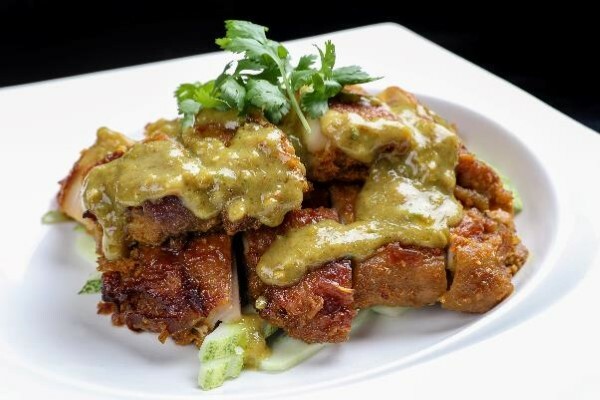 Have a taste of Thailand’s traditional Deep-fried Pomfret with Lime Sauce. Besides food promotions, a Siam2Night 2018 party featuring a water fight arena, which is a tradition in Thailand during Songkran, will also be held at Genting. Siam2Night 2018 will be held from 7pm onwards at the Genting International Show Room from 9 to 12 April. Tickets are priced at RM150 or 150 Genting Reward Points per person. Only Non-Muslim guests aged 18 years old and above are allowed entry, with registrations available via Resorts World Genting reservations. A fashion show showcasing Thai traditional costumes as well as modern street clothes will be held as well, with music provided by the singers from the Land of Smiles itself, Guitar Pleng and Lookkaew, as featured on The Voice Thailand 2014. The models will also be accompanied by dancers that will reference Thai dance movements. There will also be a Muay Thai fight showcased by professional combatants of the martial art. As time edges closer to midnight, DJ Nana will be taking over at helming the turntables, hyping up the crowd and keeping the atmosphere festive!